Unintended consequences of short-term solutions to infection control problems: an example of the systems archetype shifting the burden. CDC, Centers for Disease Control and Prevention. Modified from ref. 15, with permission. A systems blueprint for transforming dialysis safety at key levels of leadership. 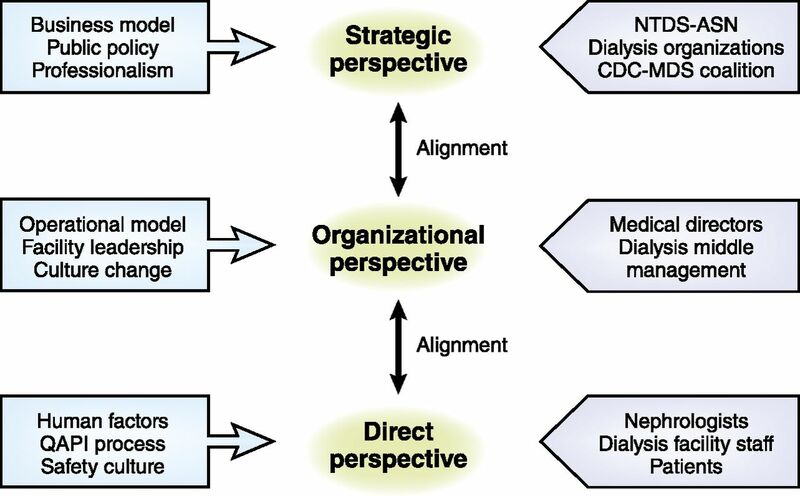 CDC-MDS, Centers for Disease Control and Prevention Making Dialysis Safer Coalition; NTDS-ASN, Nephrologists Transforming Dialysis Safety-American Society of Nephrology; QAPI, Quality Assessment and Performance Improvement. CDC, Centers for Disease Control and Prevention; HHS, Department of Health and Human Services; NHSN, National Healthcare Safety Network. QAPI, Quality Assessment and Performance Improvement. AVF, arteriovenous fistula; QAPI, Quality Assessment and Performance Improvement.